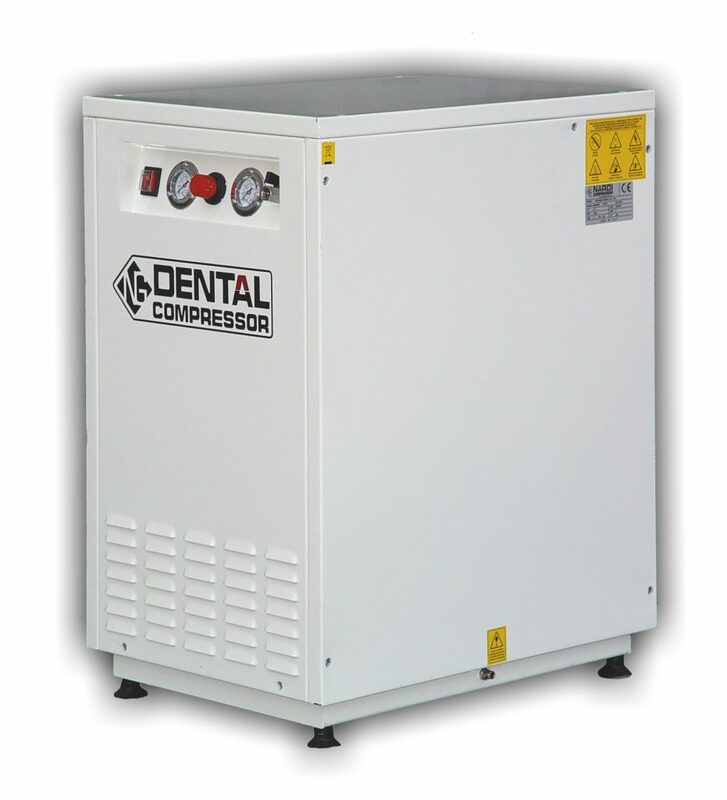 The 30L Silent compressor made by Italian manufacturer Nardi Compressori produces high quality, clean, oil free, dry air. Enclosed in a hood, it reduces the noise to 64 dB. 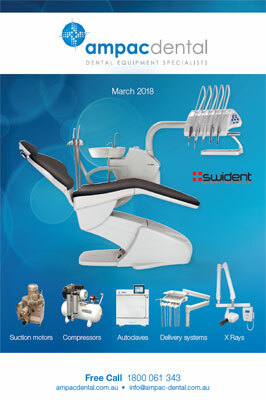 With an emphasis on ergonomics, reliability and aesthetics the Swident Friend Australia dental units provides a comfortable and positive experience for the entire dental team at a very competitive price. Whether you choose the Traditional or Continental delivery system, the smooth, perfectly balanced arm provides effortless forward and sideways mobility. Manage all your unit functions including 4 separate doctor programs with ease on the intuitive control panel. The smooth, perfectly balanced arm can be moved and repositioned with ease. The dentist table is equipped with Luzzani triplex syringe, 1 High Speed Fibre Optic line, Bien Air Micromotor Fibre Optic MC3LK and space to accommodate a scaler. An optional second fibre optic line can be configured. Provides comfortable and easy access to the Luzzani triplex syringe, suction hoses and space to accommodate for a scaler. Space and comfort is maximised when needed the most. Control the cup filler, bowl flush, and chair operation using the integrated touch panel. Effortlessly control chair, exit and rinse positions, chair adjustments and light operation using the multi-functional foot pedal. The ergonomically designed doctor and assistant stools will ensure you and your team remain comfortable and focused throughout the day. The design of the doctor stool features tilt and height adjusted backrest (470mm to 695mm) to ensure a healthy working position. An optional foot rest is available. 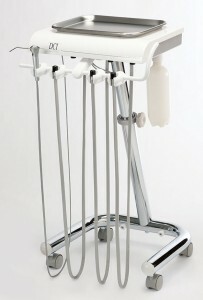 The assistant stool provides the dental nurse with the correct support and balance while leaning in close to the patient. The optional foot rest helps to maintain correct posture. Backrest and armrest are easy to adjust. 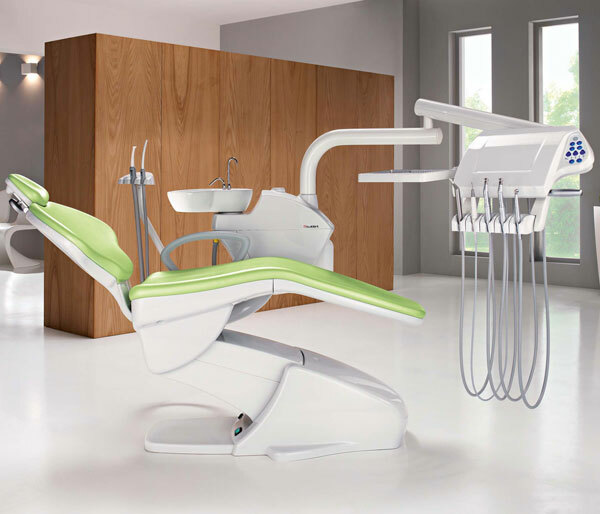 Unit mounted operating light provides perfect illumination and clarity during all treatments procedures. Optional LED or ceiling mounted lights can be purchased.